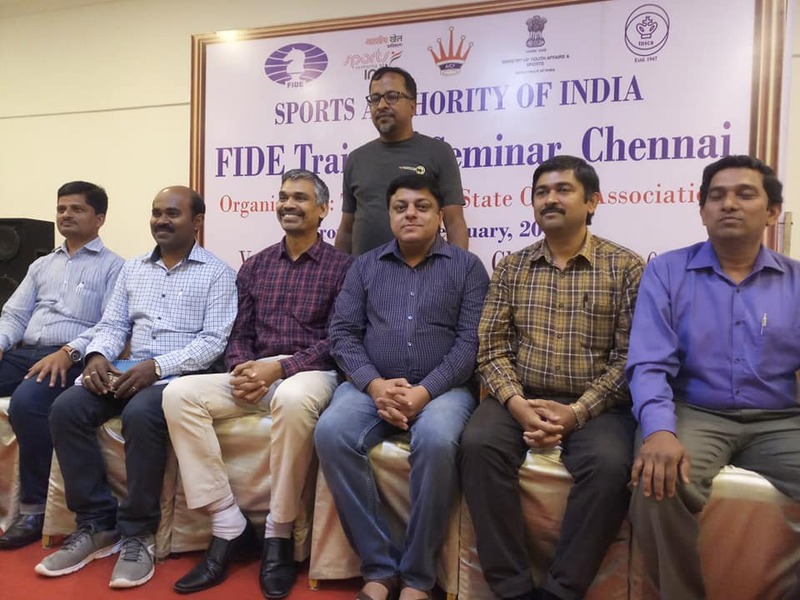 The FIDE Trainer’s Seminar, held from 1st to 3rd Feb 2019, was organized by Tamil Nadu State Chess Association under the aegis of All India Chess Federation at Hotel Abu Sarovar Portico, Chennai. The FIDE Trainer Seminar was a three-day event, that identified the skill sets of the chess trainers in the sub-continent. The candidates will be awarded one of the four titles viz., FIDE Trainer, FIDE Instructor, National Instructor & Developmental Instructor. The instructors for the seminar were Grandmaster R B Ramesh and International Master Vishal Sareen. A former British and Commonwealth Champion, Ramesh has been the chief coach of the Indian team for the past decade. He then led bronze-medal winning Indian team in the Chess Olympiad 2014 at Tromso, Norway. International Master Vishal Sareen, has been a training a number of successful Grandmasters and International Masters for the past two decades. Champions from his stable include Abhijeet Gupta, Sahaj Grover, Tania Sachdev to name a few. The seminar was inaugurated by Shri Bharat Singh Chauhan, Hon. Secretary, AICF. Present in the dais were Shri D V Sundar, Vice President FIDE & AICF, Naresh Sharma, Joint Secretary, AICF, A K Verma, Secretary, Delhi Chess Association, Grandmaster R B Ramesh and International Master Vishal Sareen. Inaugurating the Seminar, Shri Bharat Singh Chauhan, Hon. 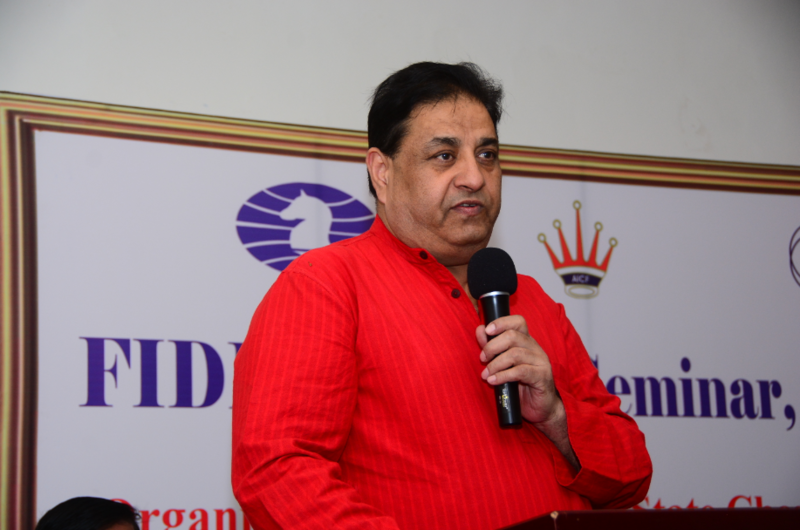 Secretary, AICF said, “This event sponsored by the Government of India is a measure to encourage and unearth more chess talents, who go to produce champions”. 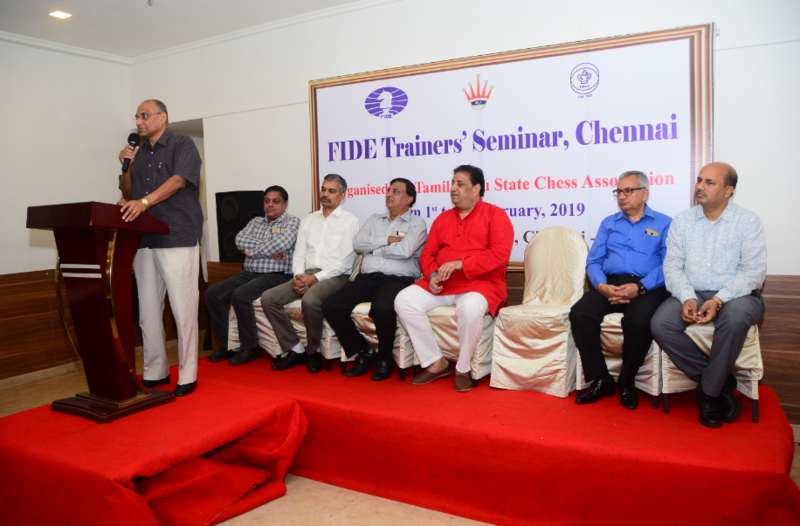 The three-day Seminar, which had attracted 40 participants, including Grandmaster Priyadarshan Kannappan, International Masters D V Prasad, C S Gokhale, Woman Grandmaster Aarthie Ramaswamy to name a few, concluded on Sunday 3rd Feb 2019.